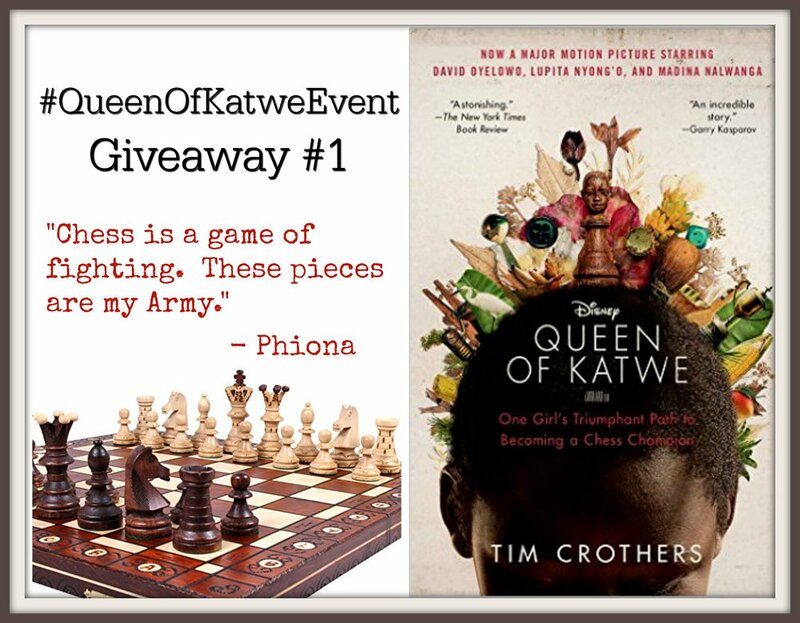 Queen of Katwe Event Giveaway! QUEEN OF KATWE is an inspiring true story of a young girl named Phiona, who sold corn on the streets of Uganda who experiences a life altering experience when she is introduced to the game of chess. Confidence, determination along with the support of her family leads Phiona on a life altering journey as she pursues her new found dream of becoming an international chess champion. It's a story of overcoming the odds and finding your inner Queen. Movies like Queen of Katwe really inspire me to go above and beyond what I think I'm capable of and I feel like this is going to be one of those movies that you will watch with your family over and over again. Since it is based on real life people and real life events, I think it makes it that much more special. I am really looking forward to the premiere and I cannot wait to watch it with my family! In celebration of attending the Red Carpet Premiere of QUEEN OF KATWE later this month, I have teamed up with several of the #QueenOfKatweEvent bloggers to bring you not ONE BUT TWO amazing chances to win a this gorgeous Jarilo chess board along with a copy of QUEEN OF KATWE. Entering is simple and easy, just follow the steps in the giveaway tool below, however once you are done entering my giveaway, head over to Moms 'N Charge page and enter the second giveaway. See I told you it was easy! Good luck.